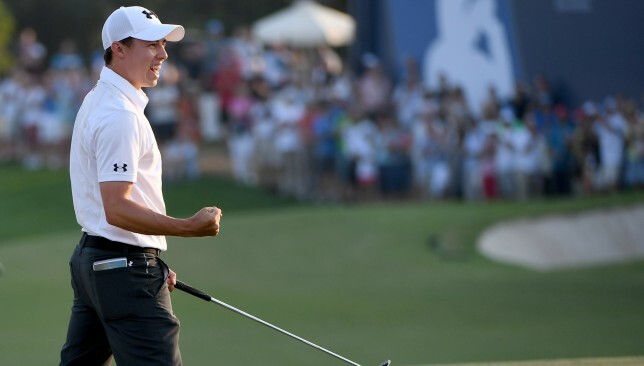 Former DP World Tour Championship winner Matthew Fitzpatrick held his nerve to defeat Denmark’s Lucas Bjerregaard in a play-off to defend the Omega European Masters title and edge closer to the European Tour’s Race to Dubai top 10. 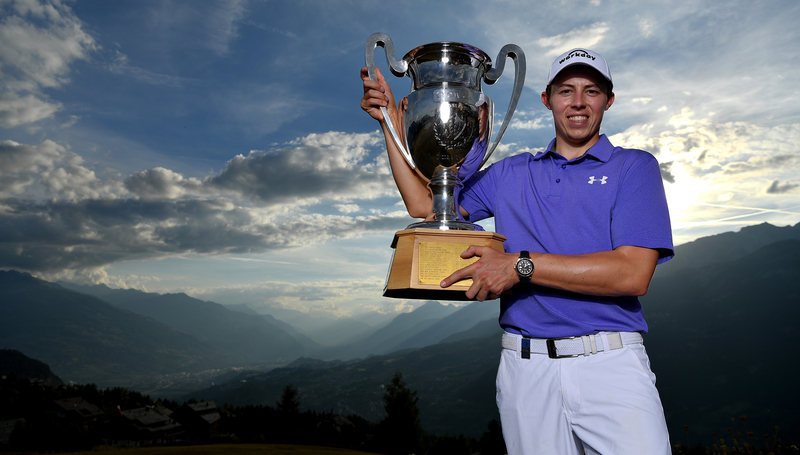 The Englishman, who became the first player to successfully defend his title at Crans-sur-Sierra Golf Club since Seve Ballesteros in 1978, entered the final round with a two-shot lead over France’s Mike Lorenzo-Vera after carding a bogey-free third round of seven under 63. But Bjerregaard matched that in a blistering final round to force Fitzpatrick to birdie the last to take the tournament to extra holes. Fitzpatrick, who also won the Swiss title last year by way of a play-off, coolly put his approach to within 12 feet on the first trip back up the 18th before sinking his birdie putt to get his hands on European Tour silverware for the fifth time. The 2016 Ryder Cup debutant picks up 487,500 Race to Dubai points with the win and jumps up 10 places from 23rd to 13th in the Race to Dubai rankings. “That was tough, that was really tough,” said Fitzpatrick. “Of all my wins I’d say that was definitely the most difficult. I didn’t have my A game today, despite loving this place I just didn’t play my best today. “I managed to grind it out, made some crucial birdies coming in and I’m delighted. This is one of my best. At 24-years-and-eight-days-old, the former British Masters champion also becomes the youngest Englishman to reach five European Tour victories, having won in every season since coming through Qualifying School in 2014. “After the disappointment of missing out on a second appearance at the Ryder Cup, Matthew has bounced back superbly with another play-off triumph in Switzerland,” said Nick Tarratt, director European Tour international Dubai office. 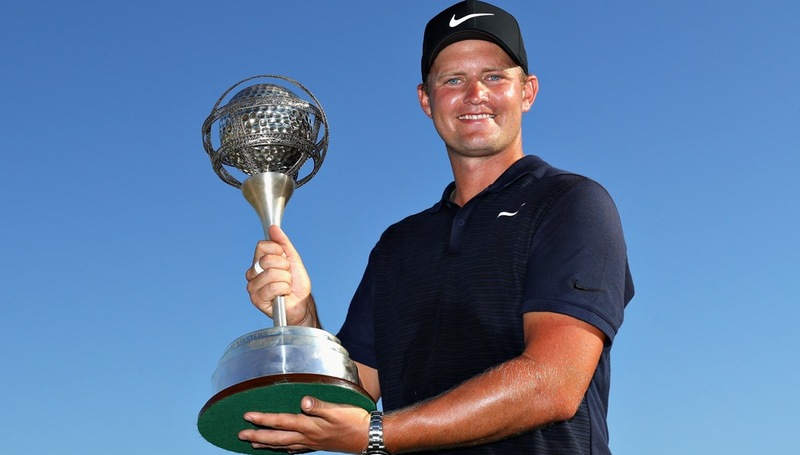 “It’s no mean feat to win back-to-back at an event but Matthew has shown he is capable of great things over the years with sublime performances around the world including his memorable victory at the season-ending 2016 DP World Tour Championship. Bjerregard looked set for his second European Tour title after his sublime final round but had to settle for second place after only making par on the first play-off hole. 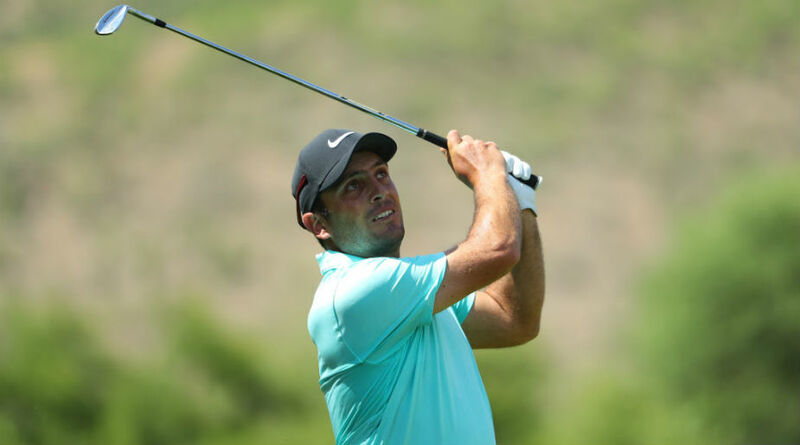 Francesco Molinari leads the Race to Dubai rankings. The 27-year-old jumps up to 24th from 38th in the Race to Dubai rankings. Lorenzo-Vera’s final round 67 saw him finish two off the lead in third place. The result moves him up to 42nd from 56th in the Race to Dubai and all but seals his spot at the season-ending DP World Tour Championship. The top three in the Race to Dubai remains unchanged with Italy’s Francesco Molinari leading the way, American Patrick Reed in second and reigning Race to Dubai champion, England’s Tommy Fleetwood, in third. Last year's winner Ghazi Aurangzeb (far l). Local amateur golfers across the UAE are being urged to sign up to be in with a chance of a ‘once in a lifetime’ golfing experience. 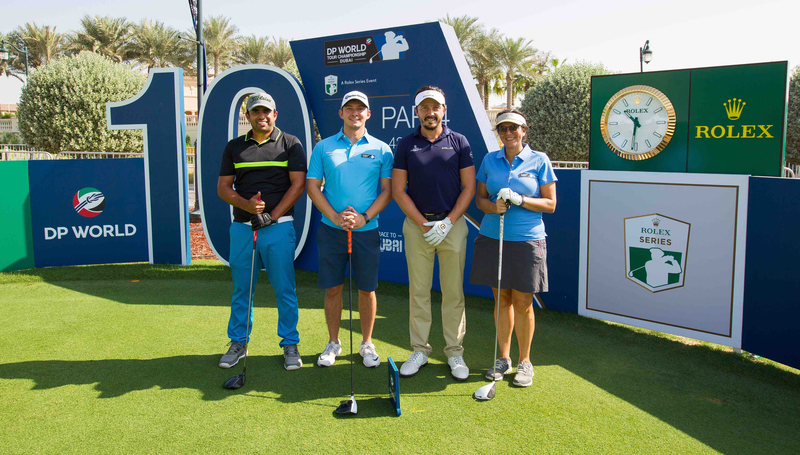 The DP World Tour Championship’s ‘Luckiest Ball on Earth’ competition returns this weekend and provides the chance for golfers to play alongside one of the European Tour’s Race to Dubai top 60 at the season-ending event in Dubai. A total of 21 qualifying events will be held at 21 golf clubs in the region across September and October with Dubai Creek Golf & Yacht Club playing host to the first qualifier on Saturday, September 1. For the first time in Luckiest Ball on Earth history, women and men will compete in individual qualifiers as they try to book their spot in the grand final, which is set to take place on the Fire course at Jumeirah Golf Estates on November 4. The leading female and male player at the final will join the Luckiest Ball on Earth team alongside the junior winner, which is also a new initiative for this year’s competition. They will mix it with the likes of Race to Dubai winner Tommy Fleetwood, 2017 DP World Tour Championship victor Jon Rahm and former world number one and three-time Race to Dubai champion Rory McIlroy in the DP World Tour Championship’s Pro-Am on the Earth course on November 13. The DPWTC is the second richest sports event in Dubai. “We can’t wait for the biggest Luckiest Ball on Earth competition to date to kick-off,” said Nick Tarratt, Director European Tour International, Dubai Office. “We encourage golfers across the UAE to get involved in this one of a kind initiative which allows amateur golfers to have a chance to play alongside their golfing idols at the season-ending DP World Tour Championship. “With women and juniors having separate events for the first time, we are expecting to see our biggest turnout yet, which can only be good news for the game in the region. 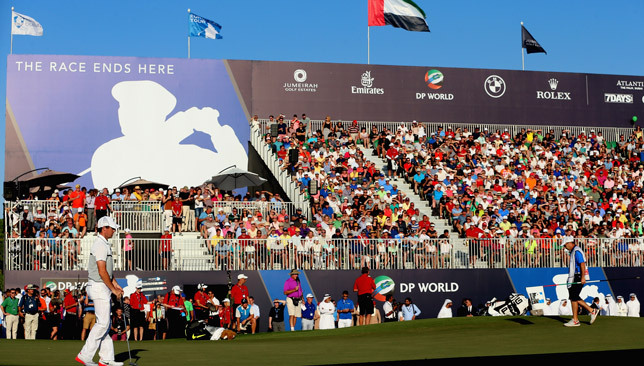 The DP World Tour Championship sees the top 60 players on the European Tour’s Race to Dubai competing for a prize fund of $8 million plus a Bonus Pool of $5m split between the top 10 finishers on the Race to Dubai list. The Luckiest Ball on Earth competition has proven a smash hit with the UAE’s amateur golfers since the initiative was first launched in 2011. The annual competition has traditionally been open to all golfers aged 18 or over who hold an official club handicap recognised by the EGF. Arabian Ranches Golf Club member Kevin Barrett, of Northern Ireland, won the inaugural competition and played alongside Italy’s Ryder Cup icon Edoardo Molinari in the Pro-Am before Italy’s Ornella Parigi, of Saadiyat Beach Golf Club, became the first female winner in 2012 and lined up with Australia’s Marcus Fraser. 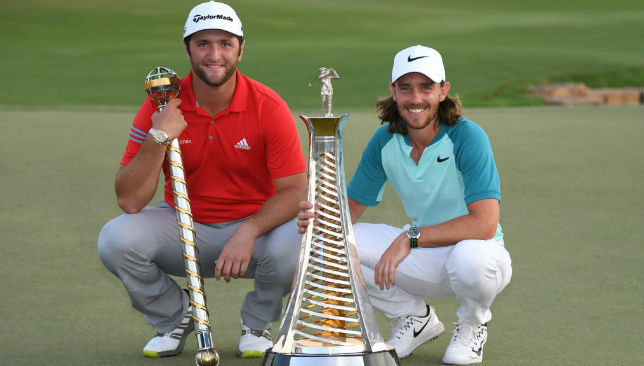 Jon Rahm and Tommy Fleetwood were the big winners as the Race to Dubai concluded last November. In 2013, former Dubai Creek lady captain Maureen Platt earned a place alongside Denmark’s Thorbjorn Olesen while in 2014 Dipesh Makwana came out on top against almost 1,000 hopefuls to be teamed up with Race to Dubai runner-up Danny Willett. In 2015, Jairaj Gorsia from The Track, Meydan was victorious and played with England’s James Morrison. In 2016 another Saadiyat Beach Golf Club member took home the spoils with Blanca Rivollier playing with Bradley Dredge. Last year’s winner Ghazi Aurangzeb’s last minute decision to enter the competition paid off after coming through the qualifier and winning the final. He teed off with France’s Mike Lorenzo-Vera at Jumeirah Golf Estates.